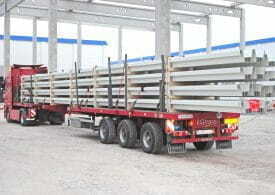 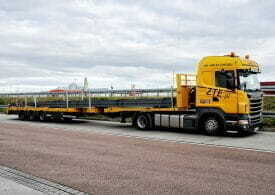 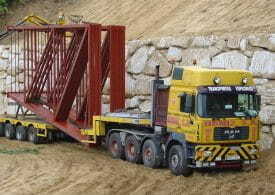 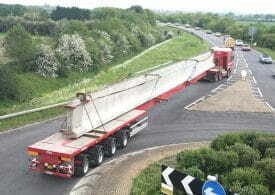 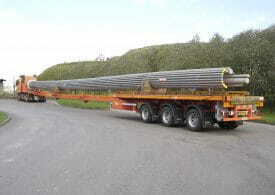 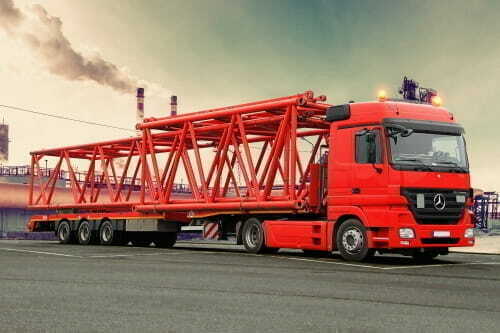 Vehicles carrying steel structures and concrete elements have to meet specific requirements. For instance, extra strong stakes and the appropriate lashing provisions are required. 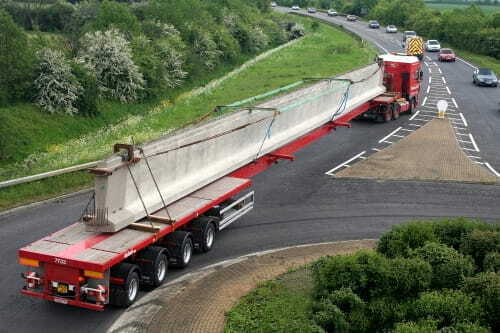 Sometimes concrete elements can only be supported at the ends and in that case these loads even require a reinforced chassis. 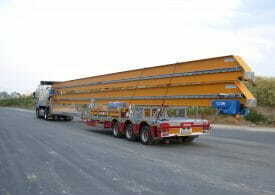 For the transport of steel structures and concrete elements the TELETRAILER, MULTITRAILER and the MEGATRAILER are often used.